We have recently learned of a tool for Chinese learning English: Jukuu.com. It has a Google like interface where you can type in a few words of Chinese or English and find sentences that contain those words. In addition, each sentence is paired with its corresponding translation. This can be particularly useful for learning a language, since you can see how idiomatic language is translated. ZHANG Yue, founder of Jukuu.com, told us more about the sentence search engine, his new company Cikuu and his future plans. In 2006 you founded Cikuu. Can you tell us a little more about yourself and this company? After graduating from Northeastern University as a master in Computer Science in 2000, I worked for Microsoft Research Asia as an assistant researcher, focusing on Chinese language processing. 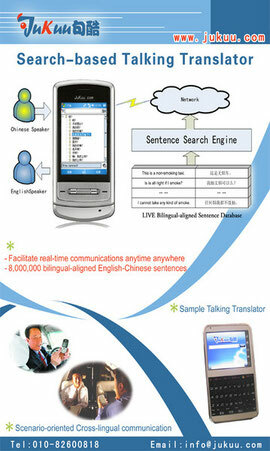 In 2005, I joined Qihoo as the department manager of the Natural Language Group. In 2006, I started Cikuu Corp. with some partners. Cikuu provides search and retrieval solutions for companies. Our team is composed of people formerly working at Microsoft, Baidu, Sina, ZhongSou, Qihoo and some other famous internet companies. So far, Cikuu's customers include Beijing Mobile, CSDN Group, Southern Media Group and etc. Jukuu seems to be the first consumer application of your company. What can you tell us about Jukuu? Actually, Jukuu (online since 2004) is our primary service, while Cikuu Search is our "cash cow" for supporting the team development and to facilitate the further development of Jukuu. We have spent a long time studying sentence search, including the ranking algorithm, how to collect sentences from the internet, how to align sentence pairs, which indexing unit is better and so on. As the first mover in the sentence field, we've accumulated much experience and huge resources over those later potential competitors. Furthermore, we are signing exclusive contracts with some heavyweight partners. What's the main difference between a regular online dictionary and Jukuu, which you claim to be the world's largest bilingual search engine? A regular online dictionary is word-based, while Jukuu is sentence-based. This is the main difference in our opinion. Actually, Jukuu may be the first sentence search engine in the world, and it is highly possible that we are the No. 1 in this field. Jukuu is available as an online application that works like a regular search engine, but also can be downloaded as a desktop or mobile client and comes with a database that allows offline translation. Which is the most popular application? Currently, Jukuu website is the most popular application, which receives around 600,000 PV every day. Most of the users are translators and language learners. However, we will greatly promote the mobile application in the future and most of our energy and efforts will be put into the mobile field. Mobile solutions are booming right now - how do you assess the potential for Jukuu mobile? It is estimated there are 430,000,000 mobile users, and 300,000,000 English learners in China. More and more English learners have accepted that language learning should be sentence based. That is a huge opportunity for Jukuu, for us and for the potential co-players. Can you tell us a little more about the technology being used, how does the sentence search engine work? The whole technology used in Jukuu is structurally similar with that of Google. The main difference is that we use collocation as the basic indexing unit for the full text search. The advantage is that collocations carry more semantic than split keywords. 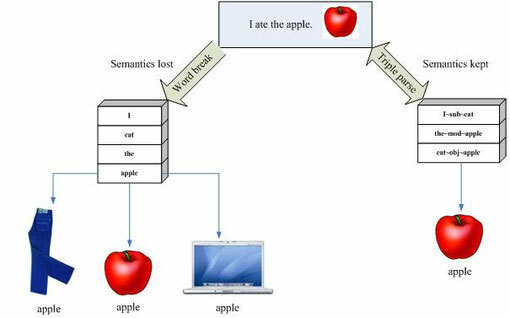 In the sample below, the "apple" in the collocation "eat~obj~apple" is a kind of fruit, but would lose its semantics without the context restriction. So far Jukuu is a Chinese-language only service. However, besides Chinese-English/English-Chinese it is already featuring bilingual translation between Chinese and Japanese. Are there any plans to introduce an English version or to expand to other Asian markets? 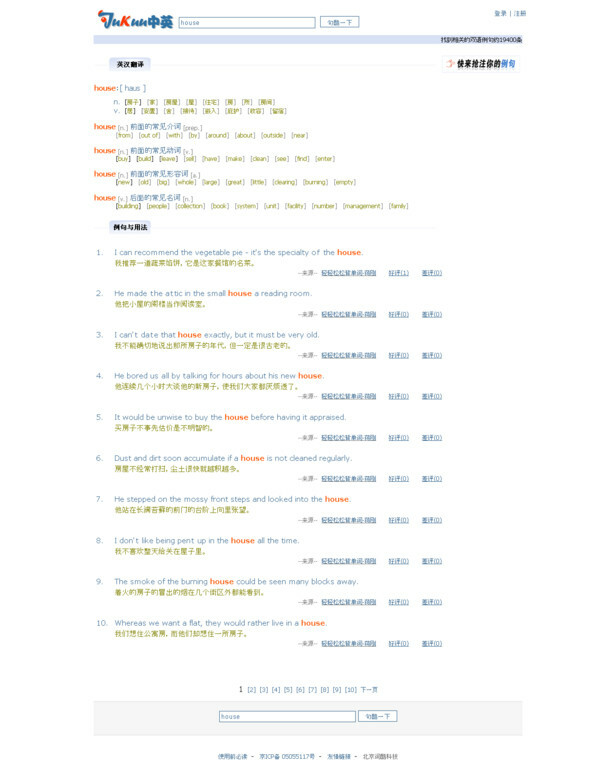 Yes, Jukuu is already supporting Chinese-Japanese and English-Japanese sentence search. We plan to extend the supported language pairs through collaboration with some international partners. After testing Jukuu we found that this application could be useful not only for Chinese learning English, but also for English-speaking folks learning Chinese if a little adapted - Pinyin and audio for Chinese words would be amazing. Any plans to target non Chinese native speakers? Yes, Jukuu plans to add Pinyin support to benefit those Chinese language learners. 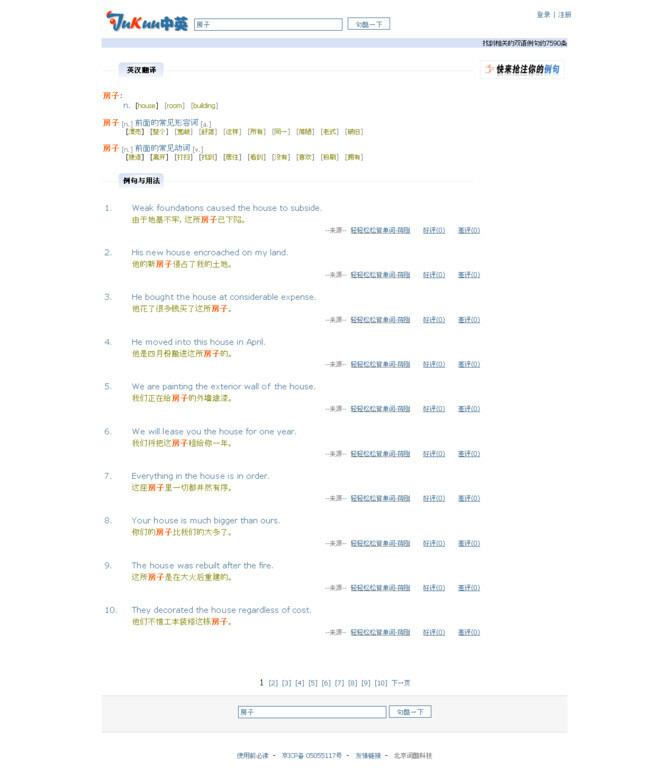 Actually, some users have already selected Jukuu as their tool for learning Chinese. What is the business model behind Jukuu? What can we expect from Jukuu in the upcoming months? We expect Jukuu to be the No. 1 brand in the sentence search field in the world, especially in the field of translation assistance and second language learning. Furthermore we expect to increase our daily PVs from currently 600,000 to 1,000,000 in the near future. This goal will be facilitated by our collaboration with some partners which allows us to support sentence search for multi-language pairs. A major goal is to continuously increase our market share in the mobile application market. Besides that, we expect to operate profitable very soon.